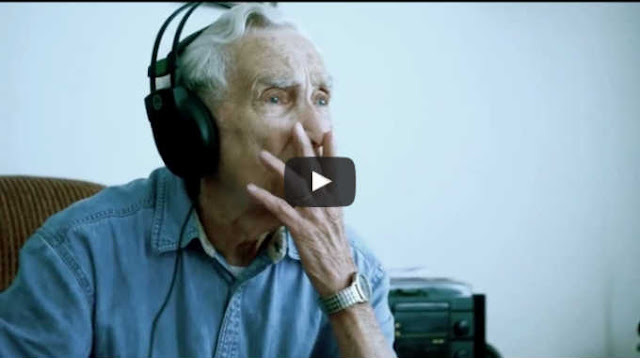 His Wife Of 75 Years Died A Month Ago, Then He Wrote This Song For Her. I’m in Tears. After the love of his life passed away, 96-year-old Fred was left with only the memories of their decades together. Although Fred had no musical background, when he read about a local music studio holding a singer/songwriter contest, he saw it as the perfect opportunity to write a love song for his wife since the 1930′s, Lorraine. Honestly, just writing it out makes my eyes well up. This is one of those heartbreakingly beautiful stories that make you take a step back. I’m warning you, make sure you have some tissues around, because this will probably get you. At over 8 minutes, it’s long, but the story is one you’ll remember for a lifetime.